Many web designers who are new to the world of web page creation, or simply don't know HTML or other web programming languages, would appreciate having a tool that would make updating web pages easy. The good news is that such tools exist. A content management system is an application that allows one or more web designers or web content writers to update pages on a website, or create new web pages, without the need to know how to write a single line of HTML. A CMS is typically configured by a webmaster as an online web application so that website writers can log in and start editing pages without installing any software on their own PC. In fact, blog editors on Blogger or LiveJournal are perfect examples of how a CMS works. Before the Internet, content management systems were used throughout industry as a form of version control for internal documentation. A company's IT department would install this software on the PCs of those employees who would control and maintain important documents, and the software would manage version changes, control who and when a document was "checked out" for modification, and properly and safely storing those documents. After the Internet was born, webmasters who ran large websites with multiple writers discovered that they had needs that the content management systems could provide. Webmasters required multiple documents, or HTML files and scripting, to be controlled and maintained with appropriate versioning. But most importantly, the website writers required an interface that would allow them to edit those HTML "documents" without the need to write the actual background code itself. Additionally, if one writer was editing a particular page, other writers should not be allowed to. 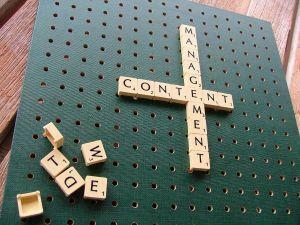 From all of these reasons, the web content management system was born. Web-based content management systems started in the mid-1990s when the Internet really started to grow. At first, large vendors of the older industry document management systems developed web based solutions, but it didn't take very long for a multitude of other companies to follow suit. Today, there are so many web content management applications available for web designers, that it can be difficult to separate the good from the bad. Use the web content management system reviews below to guide your selection. Surreal CMS is an impressive content editing application that allows you to manage multiple websites through a "remotely hosted" system. The unique aspect of this system is that you don't need to install anything at all on your own web host. Once you've created your website, you follow the basic steps below, and then you're ready to start writing website content. The design is intriguing and unique, because you can essentially edit your website from a remote website without having to log into your own hosting account, and more importantly there's absolutely nothing to install on your own web server. This is one of the easiest CMS systems on the market, and even better - it's free to manage up to three websites. The examples above provide a rough idea of what web content management systems are like. You can find both free and commercial CMS systems out there, but be aware that there are dozens of web CMS applications available, but not all are going to meet your needs, so research them carefully. WordPress started as a blog but is becoming a popular content editing platform. Moveable Type is second in popularity, and focused on blogs as well. Plone is another open source solution, much like Drupal.